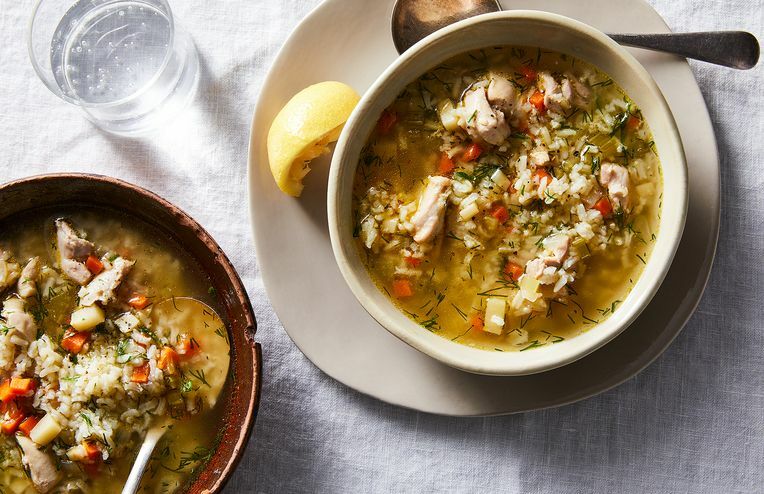 Pair these cozy soups with your favorite fuzzy blanket. Silky, satisfying, and super-duper speedy. First up: no-soak black bean soup with *allllll* the toppings. Let your pantry be your guide. Keep on repeat from now until spring. It's like air conditioning for your tastebuds. Totally worth turning on the stove for. A rainbow of options to help you keep your cool. You get to feel like a rabbit bounding through a meadow, pretty much instantly. Plus crispy, smoky chickpeas for a little contrast. Commit this tip to memory. The oft forgotten edible dish is ready for its close-up. When It Comes to Chowder, Is the West Coast the Best Coast? How is This Genius Minestrone-ish Soup So Good, So Fast? Comfort(ing) food when you need it most. A Luxurious Cream of Mushroom Soup—Without the Cream! And the seriously addictive garlic-herb croutons you'll want to top 'em with.